Since I do a lot of work with urban coyotes, I often run into the concept of “pest” species — species that humans do not want around for one reason or another (perhaps they are considered aesthetically unpleasing, or are deemed a health risk, for example). The notion of labeling a species as a pest, however, begs the question of who gets to define what constitutes a pest, and what motivations are at play. Colin Jerolmack’s article, “How Pigeons Became Rats: The Cultural-Spatial Logic of Problem Animals” is an interesting read on how pigeons “gained” the status of pests in the U.S. He went through New York Times articles from 1851-2006 and looked at the changing discourse related to pigeons over time — what he found was quite insightful, I think, and still relevant to how we view nature in the city. 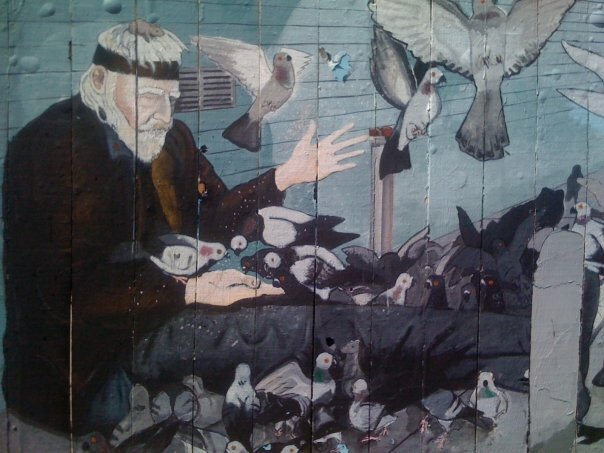 Pigeons were not always depicted as “rats with wings” in America; this description became the dominant discourse only in the 1930s, when they were linked through language with human social “problems” of the day, such as homosexuals, drunks, and the homeless. Derogatory language was used towards all of these groups, pigeons included. As Jerolmack says: “There are issues of interests, authority, and power that go a long way in determining which animals become elevated to the status of a public problem” (75). Framing animals as pests or vermin can serve as a distancing mechanism to make it easier for a person to dismiss the agency of that animal, despise it, and perhaps even kill it. And, indeed, I think this is often what happens. Jerolmack, Colin. 2008. How pigeons became rats: The cultural-spatial logic of problem animals. Social Problems 55(1):72-94. Hi, “Our Urban Jungle” I found this an interesting essay, and relevant to our baboon problems in the Cape Peninsula. Give an animal a negative label and it often becomes difficult to sway public opinion. It’s a global issue that little consideration is given to displaced wildlife with our ever increasing creep of urban sprawl. Thanks for letting me use the article. How very interesting, I was just reading about how the coyote population in NYC and in particular Ontario has increased sufficiently! It’s caused a bit of a stir, as many people have mixed views upon them, the majority of them being positive towards the fact that they keep the other pest levels down – pigeons, rats etc. It’s a shame knowing that many are against the coyote’s roaming the streets. Indeed, there are mixed emotions about coyotes (and many other urban wildlife species, for that matter!). I think we’re very lucky to be able to share our neighborhoods with these amazing, intelligent animals – it’s really something that wild predators can do so well living close to us! And you’re right, they can help to improve the overall health of urban and suburban ecosystems.